As a family-run and operated company Snap Concrete know how important providing a service of the highest quality is. Committed to delivering superior levels of customer satisfaction we consult directly with our valued customers to design and craft truly unique and special pieces of modern furniture that last through the ages and fit in to our customer’s living environments. By trusting our expert and experienced team Melbourne residents throughout the city can gain the perfect set of furniture to suit their growing needs, or to match the existing contemporary décor of their home’s interior. If you are wanting a solid statement piece or an outstanding platform for family dinners look no further than our grand and sumptuous dining tables. 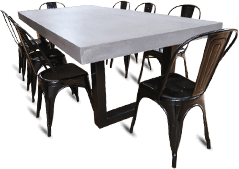 Melbourne homeowners wanting to make their dining room live up to its name can look no further than Snap Concrete! 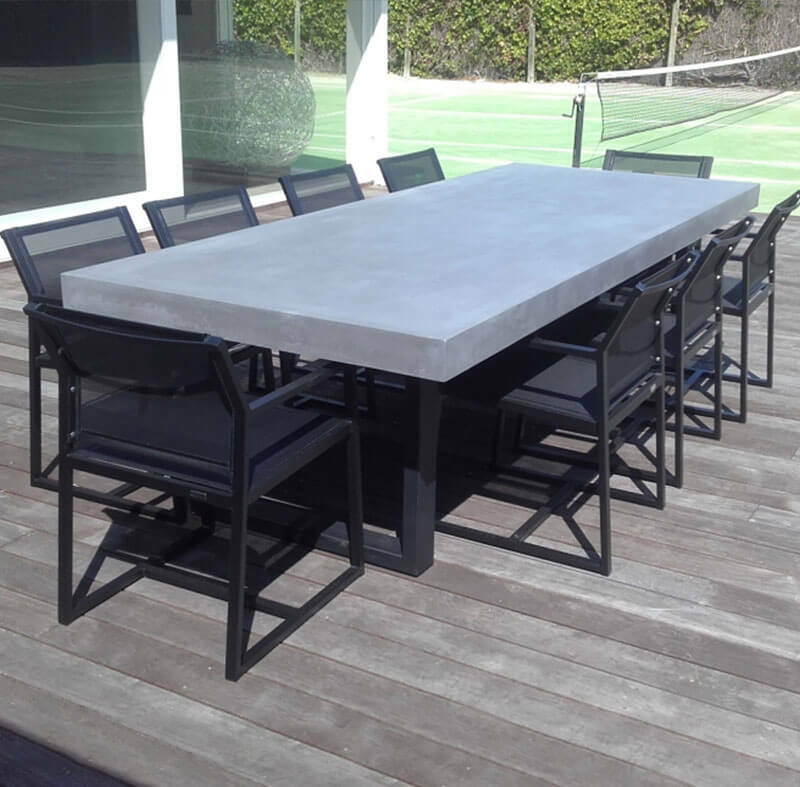 Using the best materials and mixtures of concrete, our team can design, build, and shape stylish and contemporary concrete tables that can change the entire atmosphere of your home’s outdoor environment. Customised to suit your particular entertainment and dining needs our outdoor concrete tables will be the envy of your friends and family. Offering complete delivery and installation services the team at Snap Concrete endeavour to take the hard work out of your furniture experience. Modernise your home’s entertainment capability thanks to the expressive, functional, and stylish products on offer from Snap Concrete. 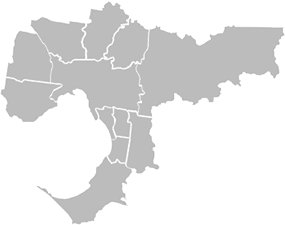 Since opening our doors years ago, we have gained a reputation for delivering modern and personalised furniture solutions at a competitive price for homes throughout Melbourne’s metropolitan area. Able to deliver decades of faithful service in all conditions our seamless and professionally-made outdoor tables help Melbourne locals make the most of their outdoor environment. Suited for suburban backyards in the height of spring and summer our outdoor tables provide the perfect platform for taking advantage of the seasonal heat. Complementing a BBQ our outdoor tables can be custom-made to make sure that everyone has a seat. With our custom-made and premium outdoor tables Melbourne families can host parties and BBQs in comfort and class. 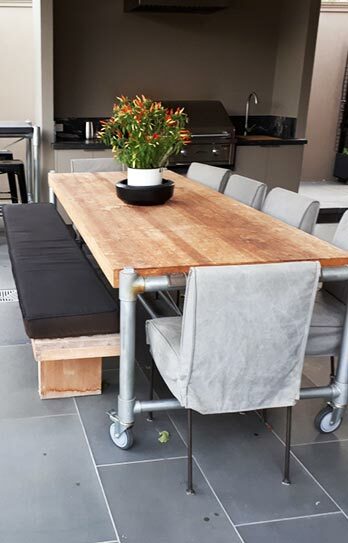 Made for Australia’s harsh environmental conditions our durable concrete tables and furniture can deliver decades of use without succumbing to varied and extreme weather conditions. 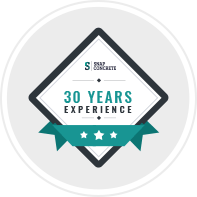 At Snap Concrete we have made it our business to provide a personalised, prompt, and detailed experience for all of our customers across Melbourne. Along with our design process we offer delivery and installation solutions to ensure that your outdoor concrete table comes to you with confidence. To change the way you live call us on 0450 535 075.